Beanie Sigel just can’t get it right. 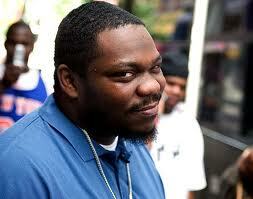 Sigel was arrested earlier this morning following a traffic stop on Interstate 95 in Delaware County in Pennsylvania. According to ABC Local, the former Roc-A-Fella rapper was stopped around 3:15 a.m. after State Troopers noticed a tan Ford Fusion swerving out of its lane and tailgating another car. The Troopers pulled the car over and ordered the driver, Gerald Andrews, out of the vehicle. A check for weapons turned up several prescription bottles and a small amount of marijuana. 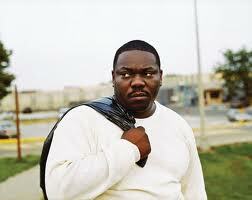 Meanwhile, Sigel was sitting in the passenger seat. Troopers performed a search on him and found $4,650 in cash, a bottle of codeine syrup with a scratched off label and several prescription pills wrapped in plastic bags located in a cigarette pack. During the search, Troopers also found a firearm in the center console. Both Sigel and Andrews are convicted felons and are not permitted to carry any guns. Both men were detained and brought to Pennsylvania State Police barracks in Media to be processed and arraigned. Sigel is scheduled to serve two years in prison for failing to pay more than $728,000 in federal income taxes since 1999. He will report to jail on September 12th. Posted in ARTIST, Breaking News, HIP-HOPTagged Beanie Sigel, Beanie Sigel Arrested For Drugs & Gun, Beanie Sigel was arrested, pennsylvania state police, State TroopersBookmark the permalink.